1. Wedding ceremonies – You may have to go to a wedding or you may be the groom or bride to be. Whatever the case is, limousine hire is something you should consider since it can make arriving to the wedding destination a lot easier. Furthermore, it provides everyone with a comfortable way to get to the location, and with a lot of different options to choose from, it is very easy to find the ideal limousine hire agencies. 2. Airport transportation – If you need to be at the airport at a certain time, it’s always best to hire a limo. When you hire a limousine, you can rest assured that you’ll get to the airport quickly. Limo services vary from pick up to drop off at the airport. Regardless of whether you require a lift to the airport or from the airport, a limo could get you to wherever you need to be. 3. A night out – You may even book a limousine for a night out, which is a good idea as it can make a night out that much better. You and your friends don’t have to stress over who is going to be the designated driver, because your transportation is going to be taken care of. If you have an organised night out, and you need to make it more memorable, then hire a limousine as your means of transportation. You will get to enjoy your night without worrying about getting home. 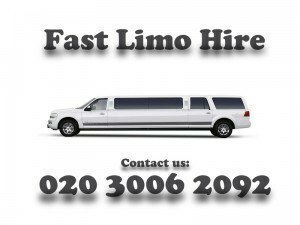 If you would like to make your task easier, you could hire our limo hire services in London. For further details, you should call us on 020 3006 2092.